In today’s culture, everyone is seeking a benchmark to gauge how they’re measuring up—financially, professionally, relationally, physically, and otherwise. Retirement planning is no exception. You can’t avoid articles telling you about the need to save for your future or about the retirement savings crisis in America—they are seemingly everywhere. But, one question that is too often left unanswered is: How much should you have saved by a given age? Let’s look at some of the research here, along with strategies to consider. What Percentage of Your Salary Should You Save? Recent studies by T. Rowe Price and Fidelity have looked at the question of how much you should have saved by various ages, and the results are similar. As you can see, there are some similarities, but the T. Rowe Price results indicate that a greater multiple of your ending salary prior to retirement will be needed. Here’s our perspective: The amount you should save should be determined by your goals. Our belief is that this should be very personalized advice, completely tailored to the individual and it’s how we have built our digital solutions—to give people tailored advice. If you’re saving but are unsure what the future value from your current efforts will be, consider using our QuickAdvice tool, for free. We analyze your personal information and can tell you what you can expect—in terms of future value—from everything you’re saving today. This can give you an idea of whether you should save more or look into what else they you can do to increase your future wealth. T. Rowe Price suggests that saving 15% of your salary, plus any employer match, is an appropriate savings target to shoot for. The multiples of salary at the various ages are predicated on being able to replace 75% of your salary from your savings and any Social Security. Fidelity’s assumptions are similar, but vary a bit. They assume that you start saving 15% of your income for retirement at age 25, that you always have at least 50% of your retirement savings invested in stocks, and that you are looking to replicate your pre-retirement lifestyle. It’s important to note that everyone’s situation is different and the above numbers are simply guidelines—the right answer will vary by person and situation. For instance, having an employer pension and eligibility for Social Security will certainly impact the amount of retirement savings needed, as will your lifestyle in retirement. Nevertheless, the above numbers are useful benchmarks for tracking where you are and useful targets for those just starting to save for retirement. Also keep in mind that your needs may be less if you retire later, say age 70 or beyond. The amount you need may be greater if you are shooting for an early retirement, as your money will need to last longer in retirement—something to think about! What Can I Do If I’m Behind? The first thing is: Don’t panic! Here’s how to start saving for retirement. Try to increase your salary deferral into your 401(k) and begin to save money monthly. If your plan offers an auto-escalation feature that allows you to increase your deferral percentage each year, take advantage of this. If not, make it a point to increase the amount saved by at least 1% each year, and definitely increase your savings rate as your income rises. Also, remember that if you are investing in a traditional 401(k), the money is taken from your pay before taxes; therefore the impact on your take-home pay is less. Trust us; take advantage of these simple yet critical strategies. 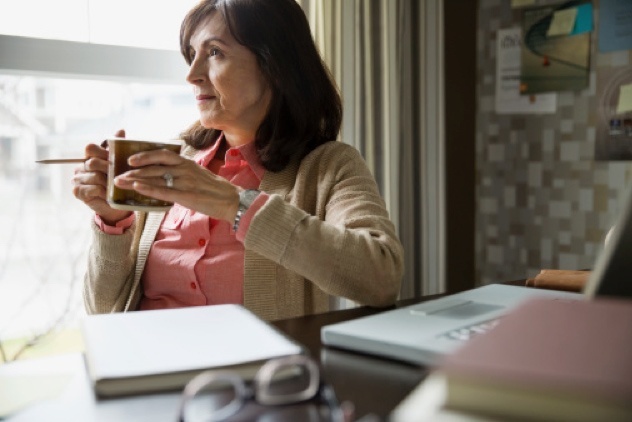 If you are nearing retirement sooner than later, take advantage of the additional catch-up contribution options available for individuals 50 and older. These can make a substantial difference in reaching your goals. Be encouraged! It’s never too late to get serious about your financial future. If you are looking for additional ways to increase your savings, look at reducing your spending and directing that money toward your retirement savings. Be sure that your asset allocation is aligned with your age, time horizon and risk tolerance as well. Please feel free to contact us for help as well. We have a number of tools that can help you get on track for retirement.